RPWL (Risettion Postl Wallner Lung - the band members) is a German progressive rock band. The band was formed in 1997 as a Pink Floyd cover band. After three years they started to make their own music based on their influences from their cover band era. Their debut CD, God Has Failed was met with international enthusiasm, praise and excellent reviews in all the major progressive rock music magazines. The band wanted to make a statement with Trying To Kiss The Sun in 2002, which relied more on the band as a creative entity and less on their influences. Their 3rd studio album, Stock was released in 2003. It was formed of the tracks that didn't make it onto the first 2 albums, plus a cover of Syd Barrett's "Opel", which the band used at shows as a soundcheck. In 2005 they released their 4th studio album World Through My Eyes. This was received well by fans and off it their first single was taken- "Roses" sung by former Genesis and Stiltskin vocalist Ray Wilson. Later that year, the band released their 1st live album Live- Start The Fire. The double disc album contains the whole of the band's Rockpalast concert, again featuring Ray Wilson on lead vocals for "Roses" and one other track this time, "Not About Us", which is from Ray's one and only album with Genesis entitled Calling All Stations. In 2007, saw the release of 9--a compilation including 5 previously unreleased live songs and 4 brand new solo songs recorded together by the band. Those studio-tracks are representing the different influences in the band. 9 was released in a limited edition of 999 CDs and was only available from their website. 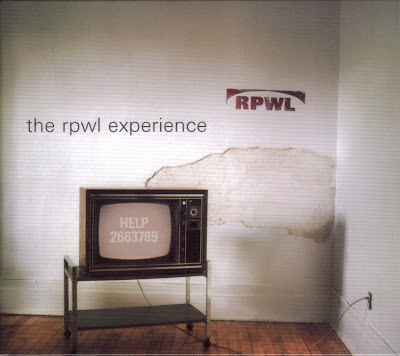 In February 2008, they released a new album called The RPWL Experience, which diverted greatly from previous efforts. Martien Koolen of DPRP writes, "The southern German prog rock band certainly explores new musical horizons on this album as some songs even sound raw and unpolished."